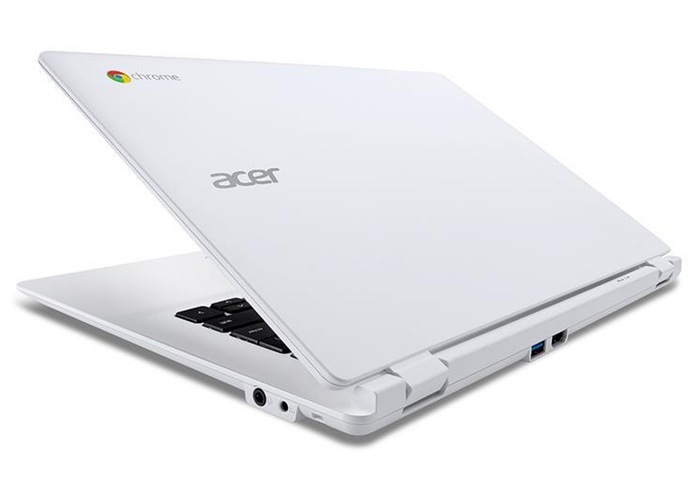 Last month, we heard a rumor that Acer is planning to launch a 15.6-inch Chromebook, and it turns out the rumor was spot on. Ahead of CES 2015, Acer has announced a new 15.6-inch Chromebook, probably the biggest in the category with an excellent set of specifications, while maintaining a budget-friendly price tag. The laptop comes with a 15.6-inch display with a resolution of 1920 by 1080 pixels, and comes with either a 5th Generation Intel Core i3 or next generation Intel Celeron processor to offer users with a decent performance. The Chromebook weighs 4.85 pounds so it may not be the most portable machine to carry around after you get your hands on one. Other features include 16GB or 32GB SSD drive, 2/4GB of RAM, an HDMI port, as well as one USB 2.0 port, one USB 3.0 port, Bluetooth 4.0, and an SD card reader. As far as the pricing is concerned, the Chromebook starts at $249.99 so it maintains its pocket-friendly price tag.